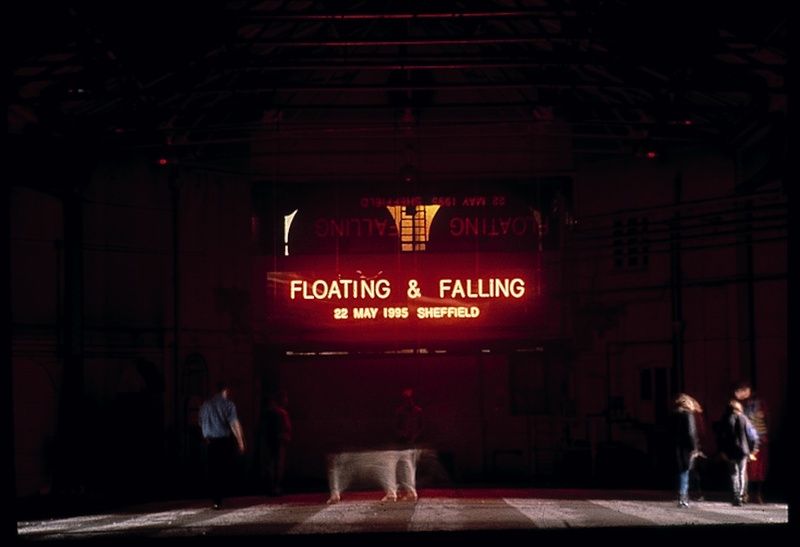 Perhaps the first ever guided tour of Sheffield, Nights in This City was a performance with both audience and performers on board a moving bus. Later restaged in Rotterdam, the project created a guided tour conducted by male and female tour guides who avoided facts in search of a different truth. Poetical and mischievous, the project explored the different histories written in urban space — from the official and the historical to the personal, the mythical and the imaginary. The public were bused around a particular route whilst commentary from the performers renamed and re-invented real-world events beyond the window. Occasionally, performed interventions by members of the company were staged along the bus route. Slipping through the centre of the city and out of control, the tour ran decidedly off-the-beaten path, playing always to the differences between on-route and off-route, centre and periphery, legitimate and illegitimate. 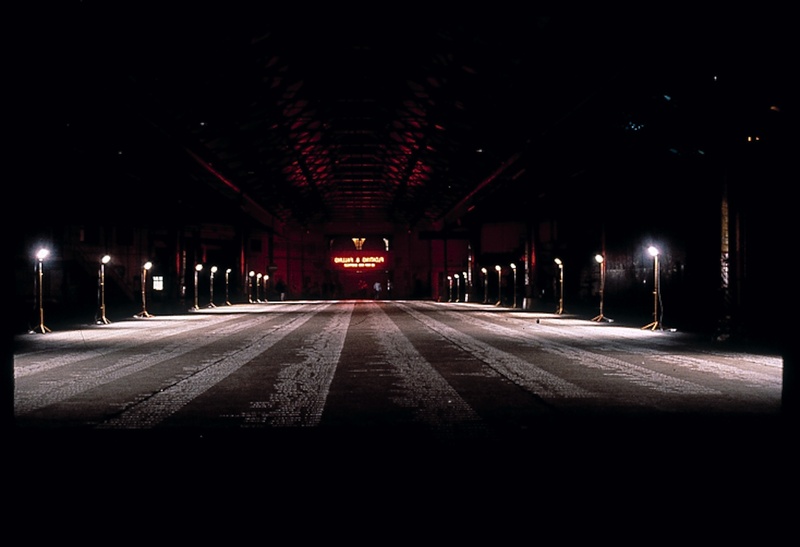 The performance ended with an installation in which the entire street index for the city was written out in chalk on the floor of a found space. Site-specific coach tour and installation. Nights in this City is a Forced Entertainment production. 1997 Rotterdam version commissioned by Rotterdamse Schouwburg and R Festival (Rotterdam).